Are you in the middle of a heating or cooling dilemma? Not sure if you should repair your air conditioner or just replace it? Tired of dealing with ongoing furnace problems? 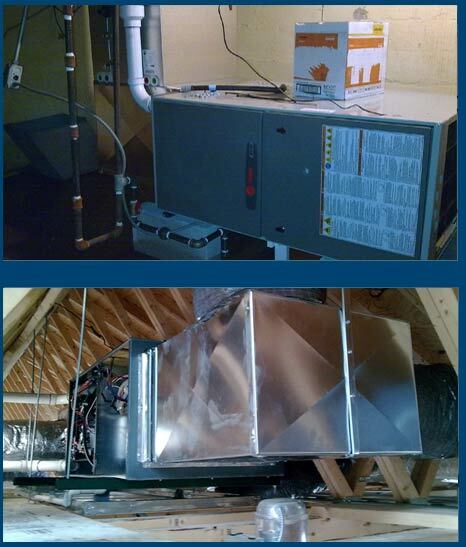 Make TDH Mechanical, Inc. your go-to service team for everything HVAC related. We even work on indoor air quality systems. Call us today at (773) 342-4338 to schedule an immediate appointment with our exerts. Finding the right Chicago, IL heating and cooling company should not have to be a hassle. Maybe you are wary because of a negative experience with past contractors. TDH Mechanical, Inc. was established to give residents and commercial property owners throughout Chicago a trusted source for their HVAC problems. We saw a need for customer-oriented contractors in our neighborhood and set out to provide quality service. You deserve the best solutions, and we have the right team in place to provide high quality services. Just click here to see what your neighbors are saying about our work. What sets us apart from other HVAC contractors? TDH Mechanical, Inc. has been around since 1985, and our professionals have over 30 years of experience in specialized heating, cooling, and air quality services. You can find us serving over 25 towns throughout the Chicago area. Our technicians are EPA and NATE certified, ensuring you receive the most cost efficient solutions. We are authorized Trane dealers and offer the Trane Satisfaction Guarantee. Thousands of customers are enjoying lasting indoor home comfort through our long term solutions. You receive top notch customer service from start to finish. There is no problem too small or overwhelming for our team to tackle. We treat each and every service call with the same level of urgency, whether it’s a new furnace installation or air duct cleaning. All of our technicians carry a customer-first mindset, allowing you to benefit from unparalleled workmanship and a close attention to detail. Our goal is the same as yours: to help you experience a truly comfortable home environment without unexpected interruptions from your heating and cooling system. Where can you find us? What’s the cost of service? We serve Chicago, IL and surrounding areas, including Chicago, Schaumburg, Naperville, Glenview, and more. Don’t live in our service area? Give us a call and we will see if we can work something out. Our services come with some of the most competitive prices in the area. We do not charge by the hour and instead offer flat-rate pricing by job. You will be provided a quote upfront, so you know exactly what to expect at the end. There are never any surprises. We respect our customers and only provide the most cost efficient solutions. Contact us at (773) 342-4338 for a free estimate. The solutions we recommend will depend on your particular situation and the extent of damage/inefficiency. As a result, there is no one-solution-fits-all model where we do business. Everything we do is tailored to your specific situation, your specific needs, and your preferences. While other service contractors make promises they do not intend to keep, TDH Mechanical goes above and beyond to create the ultimate customer experience. Having a broken AC or furnace is a major inconvenience and setback on your time. Your free time is suffering as you are stuck dealing with a problem that just seemed to happen without any warning. This is why we do our best to make your experience with us is as pleasant and smooth as possible. The last thing you need from your HVAC technician is another problem to deal with. We get to the source of the problem (rather than carry out superficial patch jobs) to determine the most cost efficient solution that will help you get back to your normal routine faster. Are you tired of dealing with regular heating or AC problems? Worried about calling the wrong service contractor who may not get the job done? When you work with TDH Mechanical, you can be confident knowing that our team is customer-oriented and committed to solving your problems. We want you to enjoy total home comfort year-round, no matter the season. Call us today at (773) 342-4338 for fast turnarounds and quality results.